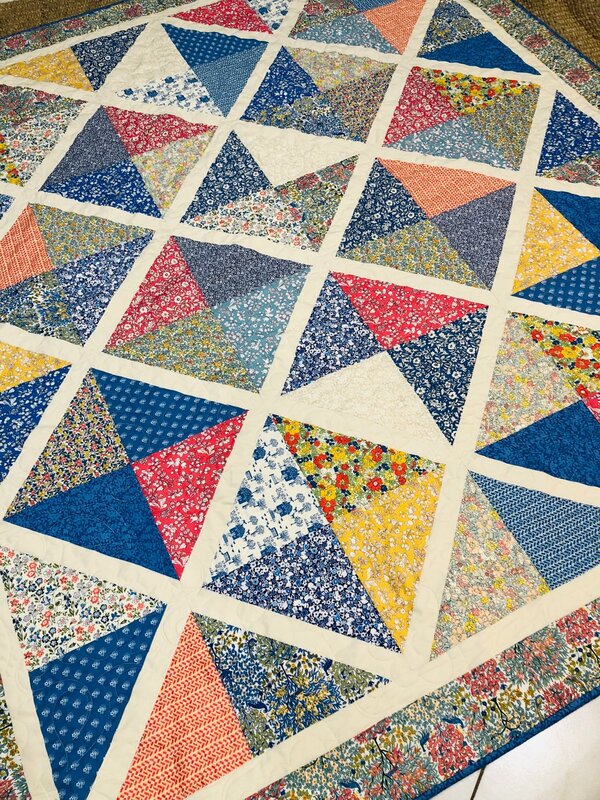 A beautiful quilt in Liberty cottage prints. Size 79 inches x 71 inches. Kit includes fabric for top and binding plus pattern.